Mortgage Capital Trading, Inc. (MCT), a leading mortgage hedge advisory and secondary marketing software firm, announced that it has implemented multi-factor authentication (MFA) security protocols, which require multiple methods to verify a user's identity for logins and transactions. (SAN DIEGO, Calif.) -- NEWS: Mortgage Capital Trading, Inc. (MCT), a leading mortgage hedge advisory and secondary marketing software firm, announced that it has implemented multi-factor authentication (MFA) security protocols, which require multiple methods to verify a user's identity for logins and transactions. "We live in an era where security sensitivities and breaches are increasingly common occurrences within organizations and their technology stacks," says Phil Rasori, COO at MCT. "In order to most effectively protect our clients, their data and transactions, we felt that it was a prudent time to implement MFA into our MCTlive! secondary marketing software as a logical safeguard in order to maintain high levels of security." MCT's new MFA technology uses Google Authenticator for MCTlive! security where the user must not only log into the platform with their credentials, but also receive a unique code from their mobile device that expires after 30 seconds. In addition, MCTlive! password requisites have been strengthened. MFA can be configured for particular MCTlive! users to be multi-factor, or for others to have simpler, quicker password access. MCT puts the ease of internal controls in the hands of the lender when it comes to user log on and security, which is very granular. In addition, detailed reporting can be easily produced at any time which timestamps each user's log in attempts and security methods used. "The security of our borrowers' information is paramount for First Bank, particularly with data breaches seeming to become more and more common," stated Andrew Stringer, Director of Secondary/Capital Markets at First Bank, an MCT client. "Multi-factor authentication in MCTlive! adds an additional layer of protection that not only gives me peace of mind knowing our data is protected, but also demonstrates proactive ways our secondary department is mitigating risk for the bank." Multi-factor authentication is the latest addition in MCT's ongoing effort to lead the secondary mortgage market toward stronger data security. In July of 2017, MCT launched its Bid Auction Manager (BAM) technology to migrate sensitive borrower data contained in bid tapes off of email to a secure platform. By October 2017, BAM had achieved 100 percent adoption among the investor community and was awarded PROGRESS in Lending Association's 2018 Innovation Award in April. Lenders interested in improving data security with MCTlive! and BAM should schedule a consultation via screenshare or in-person at the MBA's Annual Convention & Expo in Washington, DC. Founded in 2001, Mortgage Capital Trading, Inc. (MCT) has grown from a boutique mortgage pipeline hedging firm into the industry's leading provider of fully-integrated capital markets services and technology. MCT offers an array of best-in-class services and software covering mortgage pipeline hedging, best execution loan sales, outsourced lock desk solutions, MSR portfolio valuations, business intelligence analytics, mark to market services, and an award-winning comprehensive capital markets software platform called MCTlive! MCT supports independent mortgage bankers, depositories, credit unions, warehouse lenders, and correspondent investors of all sizes. Headquartered in San Diego, California, MCT also has offices in Philadelphia, Santa Rosa, Los Angeles and Dallas. 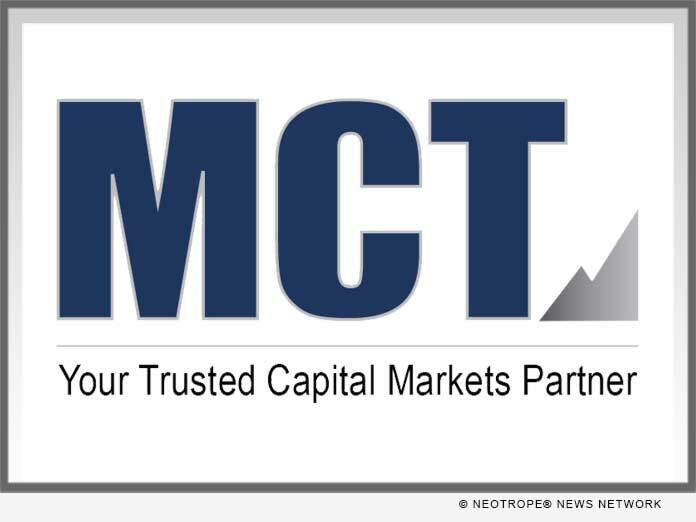 MCT is well known for its team of capital markets experts and senior traders who continue to provide the boutique-style hands-on engagement clients love.